Vim makes healthcare simple for all! Easily locate highly ranked doctors for experience and quality. See reviews from patients and make sure they are in your network. 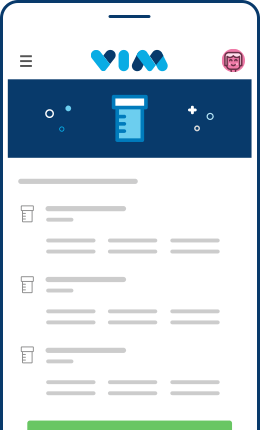 Vim provides you with a list of past and present medications, making it easy to share with your doctor. Get easy to understand notifications for out of pocket costs and track your spending to maintain a comprehensive view of your medical expenses. Once you activate your account, you’ll get care notifications that will help you stay on top of your health and make the most of your benefits. Managing your health can create a lot of uncertainty, anxiety, fear and mistrust. 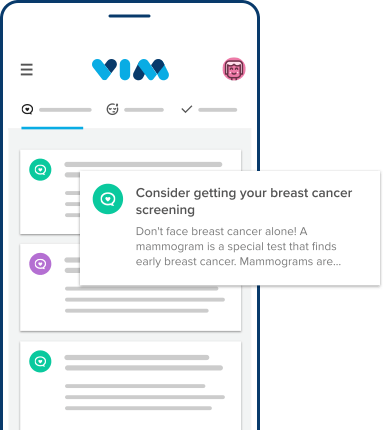 Vim takes your healthcare and puts it back in your own hands. We work with your health plan and your doctors to help make the right healthcare choices simple and easy.